St Josemaria Escriva dedicated his priestly life to helping men and women of all backgrounds to understand that ordinary life can be holy and full of God – naturally and simply, living in the middle of the world dedicated to one’s work and family, sharing in the needs and interests of one’s neighbor and society, respecting the freedom of every person, and striving towards holiness. The St. Josemaria Institute seeks to increase devotion to St Josemaria and to share his message among all men and women who desire to find meaning and happiness in their daily lives by growing closer to God. The St. Josemaria Institute was founded in 2006 to promote the life and teachings of St Josemaria Escriva, a Spanish priest who founded Opus Dei and developed a spirituality through which people can form personal friendships with God through their everyday lives in the midst of the world. Located in the suburbs of Chicago, the St. Josemaria Institute is a registered 501(c)(3) charitable organization that also produces and distributes digital and print media as a means to spread Christian values across the country and around the world. Additionally, our focus on new media and communications is intended to help people navigate and live well in the digital age. Since 2006 the St. Josemaria Institute has supported special programs and initiatives that help to spread the message of St. Josemaria Escriva. In collaboration with Midwest Theological Forum, The Rome Experience is a summer program for diocesan seminarians that is inspired by the thought and work of St Josemaria Escriva who dedicated many years of his life to caring for the spiritual and human needs of diocesan priests, and remains a spiritual guide for many priests today. In collaboration with Mount Santa Fe Productions and Motive Entertainment, the St. Josemaria Institute helped promote the film “There Be Dragons” for its release in US theaters in 2011. “There Be Dragons” tells the story of two childhood friends, Josemaria and Manolo, whose lives take very different paths in the midst of the political and social unrest of the 1930’s in their native country of Spain. 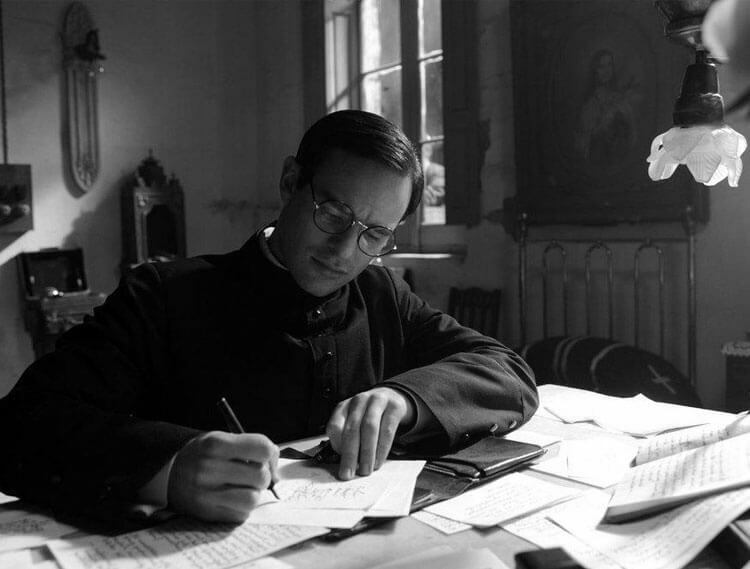 The film is inspired by actual events, especially the real life of St. Josemaria Escriva. In collaboration with the St. Josemaria Escriva Historical Institute in Rome, the St. Josemaria Institute established the website www.opusdeihistory.org to make a selection of articles on the Studies on St. Josemaria Escriva and the History of Opus Dei available to historians and other readers in the English-speaking world. 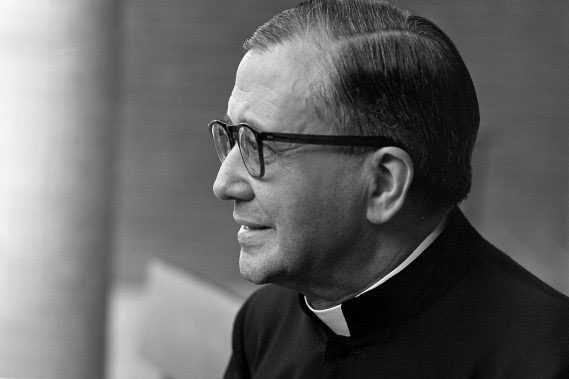 Who was St. Josemaria Escriva? St. Josemaria Escriva (1902-1975) was a Catholic diocesan priest who received the inspiration from God to found the organization Opus Dei. 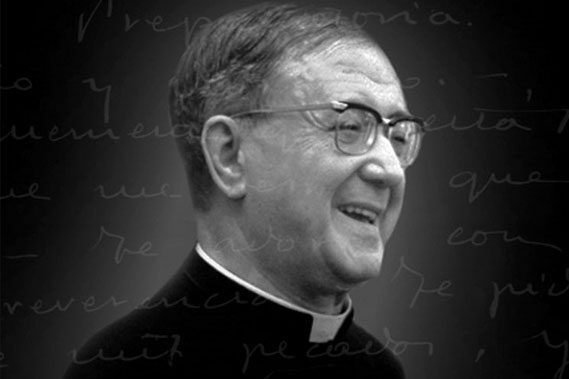 For more information visit our St. Josemaria Escriva biographical page. Opus Dei is a Catholic institution founded in 1928 by St. Josemaria Escriva. Its mission is to help Christians turn their work and daily activities into occasions for growing closer to God, for serving others, and for improving society. As the Second Vatican Council noted, every baptized person is called to follow Jesus Christ, by living according to the Gospel and making it known to others. The aim of Opus Dei is to contribute to this evangelizing mission of the Church. For more information about Opus Dei visit www.opusdei.org. Do I have to join Opus Dei to practice the spirituality of St. Josemaria? No. To join Opus Dei a person must have a specific calling from God to Opus Dei. There are many people around the world who do not have a specific vocation to Opus Dei but who still live St. Josemaria’s spirituality to varying degrees and benefit greatly from his teachings. Some of these people are cooperators of Opus Dei, people who partake in Opus Dei activities but are not members. What is the relationship of the St. Josemaria Institute and Opus Dei? St. Josemaria was the founder of Opus Dei. His teachings are the basis of the mission of the St. Josemaria Institute. As such, the messages of the two organizations are intertwined. However, the St. Josemaria Institute hopes to promote St. Josemaria’s valuable teachings to the general public regardless of people’s relationship to Opus Dei. How can I help the St. Josemaria Institute in its mission? The St. Josemaria Institute offers many helpful resources online. Please take advantage of the resources and promote them among your family and friends. You can also subscribe to your newsletter, follow us on social networks, send us your comments, and make a donation. How is the St. Josemaria Institute funded? The St. Josemaria Institute depends of your generosity. We offer our services free of charge and ask that you help us continue to spread this important message of faith and hope. How can I make a donation to the St. Josemaria Institute? The St. Josemaria Institute is a registered 501c3 charitable organization. Donations to the St. Josemaria Institute are tax deductible as allowed by the law. Donors receive a year-end summary of their donations for tax purposes.